My friends are confirmed dog owners. Moreover, they are committed to rescuing dogs from such locations as: animal shelters, Humane Society facilities, ASPCA, and dog rescue centers. So, this ebook is unapologetically aimed at convincing you—the potential dog owner—of two things: the benefits of dog ownership and the advantages of choosing your new best friend from a pound, a family that can no longer keep their pet, an animal shelter, or a rescue center. Confirmed dog owners will tell you there is no end to the benefits of owning a dog—or dogs. Here are some of the advantages of owning a dog that are supported by research. It’s true! Dogs are little balls of walking germs and bacteria. They carry it in with them. They roll in it. So how is this an advantage, you might well ask. Those of us who spend our lives stamping out the germs and bacteria in our lives with every disinfectant, aerosol and powder modern science can provide just seem to be making ourselves sicker with these so-called cures. On the other side of the scale, people with dogs in their homes are less germ-phobic and also healthier. Owning a dog gives people something happy, loving and caring to associate with. Dogs are non-judgmental and they are great listeners. The interaction with a dog can also help people stay positive. Scientists have discovered that even looking at your dog increases your brain’s levels of the “feel good” chemical Oxytocin. The Heart and Stroke Foundation endorses dog ownership for better heart health. A study showed that the acts of petting, caring for, and talking to your dog have the effect of lowering blood pressure and heart rate. Comparative studies showed that dog owners were and are more likely to survive a heart attack than non-owners. Another factor may be the fact that the necessity for dog walking gives dog owners at least thirty minutes of cardiovascular exercise daily. Studies comparing dog owners to non-owners found that dog owners have slightly lower cholesterol. Speculation is that dog owners have to walk their dogs and this may improve cholesterol levels. It is a proven fact that most dog owners get more than thirty minutes of exercise a day. Try taking Rover for a walk without having people stop and pet and talk to your dog! This naturally branches out to a conversation with you. Studies show people trust dog owners. Those who live alone get natural and daily interaction with people along their dog-walking route as well as with their dogs. This naturally combats loneliness and depression—regardless of your age. Those same miraculous dog noses that can detect drugs can also sniff out cancer. There are numerous recent anecdotes about dog owners whose dogs kept sniffing or licking their body. When they got it checked out, it was cancerous. Scientific studies have confirmed that dogs have been trained to detect cancer. While not medically conclusive, these cancer sniffing canines have sounded alarm bells heralding further clinical investigation of an issue that would not otherwise have arisen in its earliest stages. Whether it is dogs in the workplace, dogs in school, or dogs at home, having a dog around has been shown to relieve stress. People who interact with dogs have lower stress levels—and higher job satisfaction. You may laugh at your dog’s antics. You may laugh with the sheer joy of spending time with your Buddy. But, you will laugh. Laughter has healing and therapeutic benefits that are just now being discovered. Now that I have convinced of the many benefits to dog ownership, let’s talk about where you are going to look for your new best friend. Of course, you can go to a pet store or you can seek out a breeder. But, why would you be interested in supporting an industry that puts more dogs in the world (often in cruel and inhumane conditions), when there are so many dogs waiting for a forever home at rescue centers or animal shelters? What is a Rescue or Adoption Center? Rescue centers are operated with private funding. Their goal is to find unwanted or abandoned dogs forever homes. Some—like the Golden Retrievers’ Rescue http://www.grrmf.org/ of mid-Florida—are committed to rescuing specific dog breeds like Golden Retrievers from area homeowners where the pet-owner match has not been successful and placing them in home where they will be loved. My friend—a long-time Golden dog owner—purchased her first Golden from a breeder. She learned of the Golden Retrievers rescue association in her area and became a volunteer, raising funds, holding awareness meetings, setting up displays in area malls and finding foster homes for Goldens that were put up for adoption. She has since adopted four Goldens during the past twenty years. Just as there are rescue centers aimed at the adoption of specific breeds, there are rescue centers for senior dogs, abused dogs, puppies, and dogs rescued from puppy mills. Rescue centers like Whidbey Animal Improvement Foundation (WAIF) http://www.waifanimals.org/cats/wilson/ are run with money from a private foundation. Pet Smart Adoption Center http://pets.petsmart.com/adoptions/ is run by the Pet Smart retail centers. Petfinder runs some 14,000 adoption centers and a website: https://www.petfinder.com/ dedicated to finding homes for “All-American Rejects” animals turned in to one of their centers located across North America. Why Choose a Rescue or Adoption Center? Dogs from a breed specific rescue center are often expensive purebred dogs, whose first home placement was just not a good match. They have often been well looked after and are healthy. You know the breed (or mix) you are getting. As a general rule, rescue centers tend to be more personalized. Rescue Centers almost always house the rescued dogs in foster homes with foster families who know these animals well. Thus, adoption at a rescue center may have significantly more red tape and take notably longer. The plus is that you get a lot more insight into the dog and the dog has been in a loving home since being rescued. Why Choose an Animal Shelter? The American Society for the Prevention of Cruelty to Animals (ASPCA) runs animal shelters and a website for abused, neglected, abandoned animals throughout USA https://www.aspca.org/pet-care/virtual-pet-behaviorist/dog-behavior/adopting-shelter-dog. One of the most compelling reasons for adopting from ASPCA is that you might very well be snatching that dog from death. Sadly, 1.2 million dogs must be euthanized annually in America because there just are not enough adoptive dog owners according to the American Veterinarians Association. We all tend to think of the animals that end up at animal shelters as mutts, mongrels, mixed breeds. In truth, nearly ¼ of them are purebred animals. Many of these are not “problem” dogs in any way. Death, illness, aging, moves, and family breakups have landed these poor dogs in shelters. The Humane Society of USA maintains facilities which deal with 100,000 animals each year. Many of them have been the victims of large-scale animal cruelty including: puppy mills, animal fighting, factory farming, seal slaughter, horse cruelty, captive hunts and the wildlife trade. As the nation’s largest and most effective animal protection organization, the Humane Society runs education and training in such areas as: animal advocacy organization, and transformational. Much of the difference between rescue centers and animal shelters is a fine distinction. Basically, shelters are single community branch facilities of such organizations as ASPCA or US Humane Society. These facilities receive some funding from federal and/or state and/or municipal governments. On the other hand, most rescue groups keep their facilities or help centers in the homes of volunteers or “foster families”. Usually, animal shelters have some paid staff as well as volunteers. Rescue groups or centers are almost always staffed by volunteers and run on donations only. What does this mean for you: the potential animal owner? Probably nothing unless the fate of the dog you do not adopt is a priority in your reasons to provide a forever home for a dog. Rescue Centers rarely—if ever—put an animal down because there is just no more space. ASPCA and Humane Society do not always have a choice! Where do you live? Does your home have space (interior and exterior) for a dog? Is everyone at your house on side with this decision? This is a whole family commitment. How much available time do you (or another family member) have available for a dog? Take a quiz like this one: http://dogtime.com/quiz/dog-breed-selector to look at other issues. This excellent quiz encourages you to consider environment, lifestyle, motivation, and personal preference in dog breeds. There is even a zip code locator for available compatible breeds near you. What activities will you and your dog do together? Are there issues with allergies, fur, and/or drool? Do you have children? What are their ages? How compatible will children and dogs be? Are you looking for a puppy or a grown dog? Would you consider a senior or “special needs” dog? How prepared are you financially for dog adoption? The estimated cost of owning a dog can range anywhere between $500.00 and $? annually. This increases with dog size, age, special needs, health and “extras” like grooming and showing. It will be helpful if you “know the drill”. This avoids misunderstandings, disappointments, and harsh words. Remember: Shelter staff—whether the shelter is run by ASPCA, Humane Society, a government branch, or a private charity—has rules and paperwork which must be followed. They are not picking on you, asking inappropriate questions, or setting up roadblocks. Check out the facility website. Talk to staff and set up a time to visit. You will be asked questions like those above. So, be prepared with well thought out answers. Next, you will have a chance to view the adoptees. Depending on the facility, the sheer numbers of potential adoptees, and staff availability, you will be shown the entire group. Or, you might be shown the most compatible dogs that match your profile either as a group or one by one. You might even be asked to view adoptees on a computer file and narrow or widen your preferences. When you have made a tentative selection, usually you will be afforded an area and a “get acquainted time”. Before you visit an animal shelter or rescue facility near you, check their website. Many of them—like this one: http://www.cheyenneanimalshelter.org/worth-the-wait-pet-request-form/explain the adoption process and provide an adoption application form you can fill out and send beforehand. There is a wide range of costs of adoption a dog. Costs can vary from as low as $25 to over $250. Always asks what is included in this cost. Animal rescues and shelters always appreciate money, food and other donations! Keep that in mind. Like adopting a child or getting married, taking a dog into your family is a big commitment. Be sure you have considered those pre-adoption questions carefully and honestly before you take the step to adopt a dog. Most of the potential adoptees have already experienced trauma in their lives. They need happy, loving, forever homes. Don’t panic. There are some help sources! Some shelters and rescue groups have free or discounted services. They all want this adoption to be successful for both you and your new best friend. Services may include: dog-training classes, veterinary, or behavior assistance, to make sure your adoption goes smoothly, after you adopt a dog into your family. Rescue groups usually provide a lot of follow-up to adoptions. Many shelters do, as well. These services are often run by volunteers who know personally the “growing pains” of adapting to a new dog in your household. If you’re having health, behavior or adjustment problems with your new pet, first call the place from which you adopted your dog. 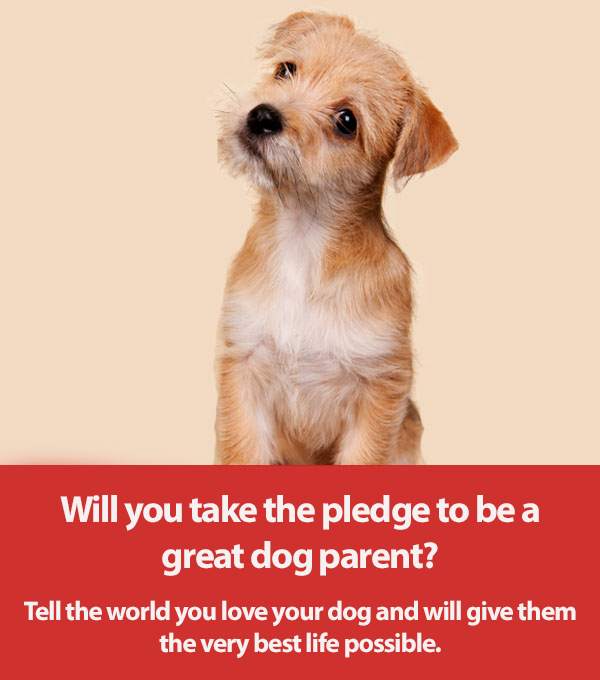 Adopting a dog from an animal shelter or rescue facility should be a happy experience for every member of your household. This includes any existing pets, children, adults and neighbors. Everyone is affected—positively and negatively—by this new family member. Consider how the new dog will affect your domestic and social lifestyle. Which adult family member is ultimately responsible for this new dog’s welfare. Children can share responsibility but, ultimately, ensuring that your new dog’s needs are met is an adult task. As with every other venture, adopting a dog will go much more smoothly if you plan ahead. Excellent resource materials are available in on this site. Don’t overlook a rich reference source: friends and relatives who have adopted a dog from an animal shelter or rescue center. As happy pet owners, they are eager to ensure that you and your new dog get a good start. Adopting a dog requires a long-term commitment. Your dog may live into his late teens. His needs will change as will your ability to meet those needs. Like a couple, you will grow and change together. Dog ownership can be one of the best and most fulfilling relationships in the world. Naturally, there will be a period of adjustment. 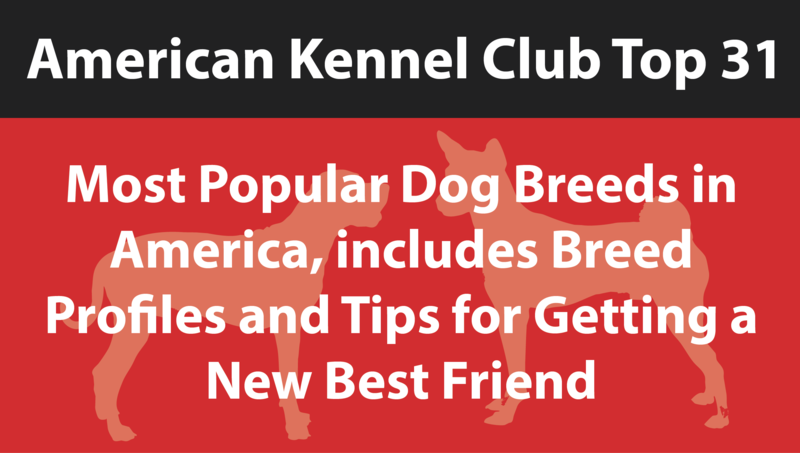 Your house, your yard, and your previously free time will be filled with the needs and love of your new best friend. We’ve discussed a lot of physical, emotional, and social benefits of owning a dog. For every family member—from the youngest child to the most senior member of the household—having a dog share your life takes you outside yourself and your problems. The time we spend feeding, walking, grooming and training our dogs teaches us a great deal about how to live and how to be a better human being. Owning a dog teaches us wonderful qualities including: patience, commitment to another and unselfishness. Caring for your new dog will require a lot of time and effort but you will quickly discover it is quality time. You’ll soon wonder why you didn’t consider adopting a dog from an animal shelter or rescue center sooner. It’s not just people and fine wine that get better with age. Many people do not realize the treasure that an adopted older dog can be to a family contemplating an addition to their household. If you think it through, you would realize that a canine senior citizen could be your best choice. Older dogs are already housetrained, know the boundaries of living in a home environment, and at a minimum, have at least been exposed to some basic obedience. As an added bonus, there are many who have proven their tolerance to children. In addition, that adage you can’t teach an old dog new tricks, has be debunked over and over. (For those interested, please see the article “Debunking the Myth about Training Older Dogs.” on this site) Science has proven that an older dog has the same abilities in learning new behaviors, as any young pup that is full of itself and ready to take on the world. The only caveat here is you have to be respectful of his/her age. An older dog with the physical problems that come with age, may not be physically able to take on a sport like agility or do any of the more of the physically demanding exercises. An older arthritic or dysplastic dog, may find even the most rudimentary of movements taxing. So, please make respectable allowances for their age. This is one of the many benefits of using positive motivation as your go-to training method. It is all hands off, making it the only choice to humanely train your older dog (or any dog for that matter). Even dogs with some of the common ailments of age i.e. dental issues, digestive problems, even eyesight, can be easily overcome by using soft and easily digestible treats. And with their fabulous sense of smell, who needs to see the treat if they can smell where it is? But then, I have seen some older dogs (and people) move and bounce around as if they were still youngsters. Now I don’t want to mislead. It’s not all pros. There are some cons to take into consideration when getting and older guy or gal. Dogs live for routine, and any dog that has lived for years in a household, has become a creature of habit specific and unique to that environment. Moving it from its known world to a new situation would be akin to us taking up residence on the moon. But one of the many positives about dogs is their ability to be adaptable. So even if at first there is some confusion, and some stressful moments, adjustments have to be made on both parts with patience and understanding. It becomes a win-win for everyone. In closing, you are encouraged to give an older dog a try. They want and need forever homes just as much as any puppy. And as noted above, you don’t have to work as hard, but your reward is not just a physical benefit. The emotional benefits of saving a life are beyond comparison.